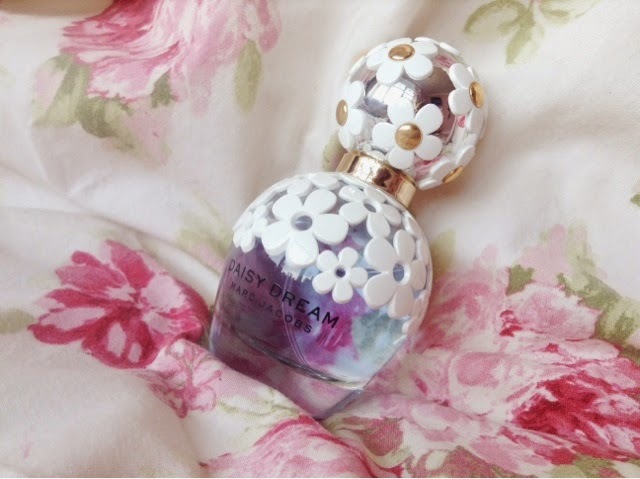 Hello everyone, and as you all may know from the many beautiful adverts, from on TV to in magazines and even in shop windows, Marc Jacobs has released a brand new fragrance for the spring and summer time, cutely called Daisy Dream. Before even taking a whiff of this beauty, I was drawn in by the oh-so gorgeous bottle. I mean, who can resist the beautiful blue liquid and daisies? Not me, clearly. The fragrance is described as 'a fruity floral fragrance with a light and airy touch' which I see as a perfect description as I find this isn't as floral and a bit granny-ish smelling like the original Daisy scent (sorry all you Daisy lovers!) but it isn't overly sickly and sweet. It is light like the description suggests and I don't find the scent too overpowering - no one wants their new perfume giving them a splitting headache as soon as they spritz it! One factor that is a bit of a negative about the fragrance is it's staying power, and I've seen a fair few reviews that agree with me. As it is a rather light fragrance, it is pretty light on the skin and the smell isn't as long lasting as I'd like, sure it lingers throughout the day but I found the same scent that I first sprayed in the morning is virtually undectectable on my skin by the end of the day. My advice - spray it on your outfit rather than yourself so the scent stays put! 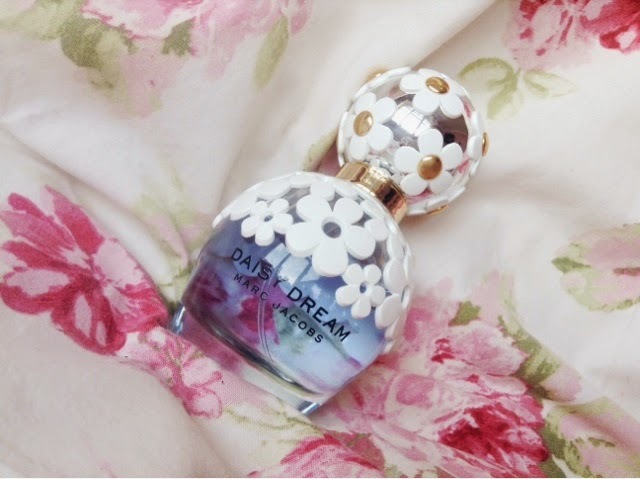 I have the 50ml bottle of Marc Jacobs Daisy Dream, which retails for £50 at most stores, but I bought mine from Lifeandlooks.com, which had a slight discount.